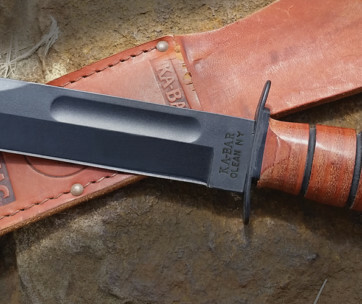 Outdoor adventurers and survivalists will love the Schrade SCHA3BS M.A.G.I.C. Assisted Opening Folding Knife. It is not the multi-tool pocket knife that you have in mind, but the Schrade can do amazing things with its partially serrated tanto blade that is constructed of high grade 4034 stainless steel in a stunning black finish. 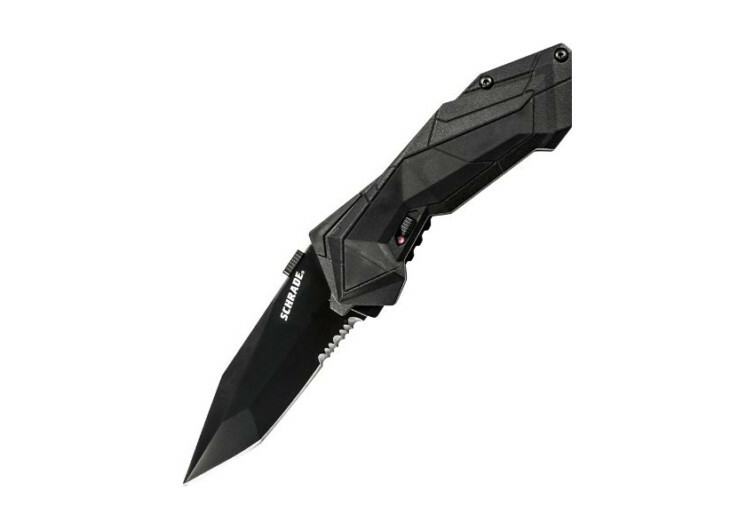 It is not the multi-tool pocket knife that you have in mind, but the Schrade can do amazing things with its partially serrated tanto blade that is constructed of high grade 4034 stainless steel in a stunning black finish. It’s a knife you won’t have issues using in really tight situations. While it is not made of diamond, its high-carbon steel construction is enough to make you feel at ease when it comes to retaining its sharpness regardless of how much abuse you give it slashing and cutting through a variety of things and objects in the middle of nowhere. Its thumb plate is designed for both left and right-handed folks while its aluminum handle feels grippy that it won’t slip out of your hands. Unlike other pocket knives you may have already have the chance to hold in your hands, the M.A.G.I.C. comes with a design philosophy that somehow tells you its creator is a fan of geometry. The polygonal shapes form an artwork on the knife’s handle, made even more stunning by the lines that are formed by the ridges of the shapes. You could spend the rest of the day just looking at the beautiful craftsmanship of the M.A.G.I.C. and you won’t even notice that it’s already dark. 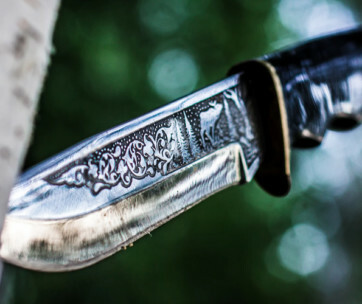 The Schrade’s blade may only be less than 3 inches but its needle-tip sharp point and partially serrated edges can get you out of any situation in the wilderness. The blade comes in an awe-inspiring black finish complete with the 3 planes that form the outer edges of the blade and creating a kind of allure that is a lot similar to the many facets of a diamond. The central portion of the blade comes flat, forming a plateau-like artwork on the M.A.G.I.C. The serrations cover the inner third of the cutting edge of the knife, just after the hand guard. It’s perfect for ripping through fleshy objects, making quick work what would otherwise take an eternity to cut. Schrade’s M.A.G.I.C. 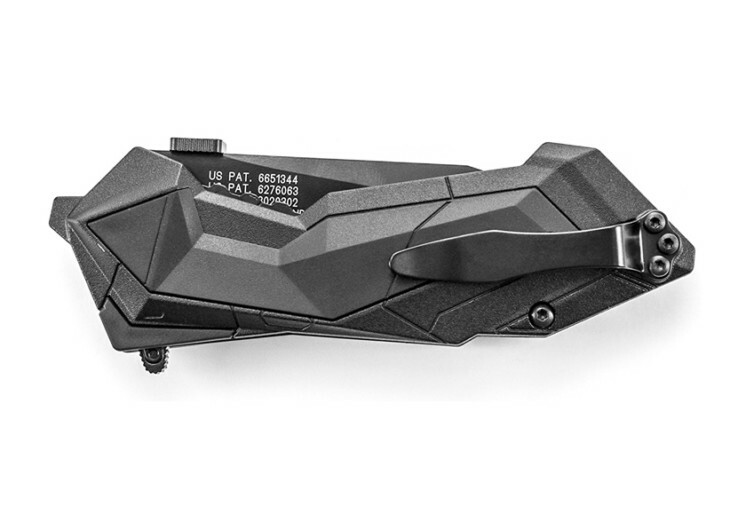 is not a multi-tool pocket knife. 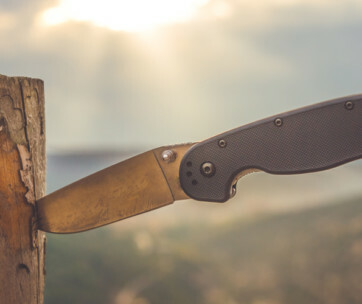 However, with its exceptional design, robust construction, and on-point sharpness, it’s every adventurer and survivalist’s best buddy in the wilderness.